Opening hours: Daily 11am – 8pm. Decorated by Children’s Cancer Foundation with Yenn Ang. 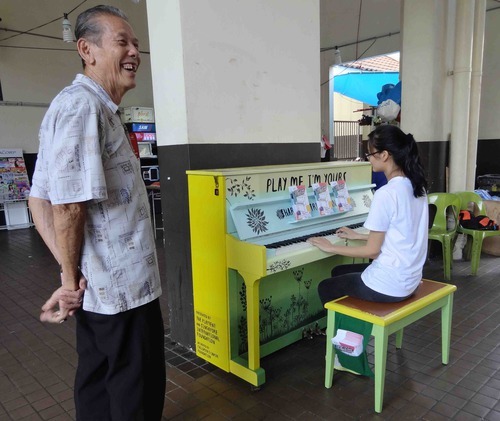 Skinny old man struck by nostalgia..
struck a chord with me. 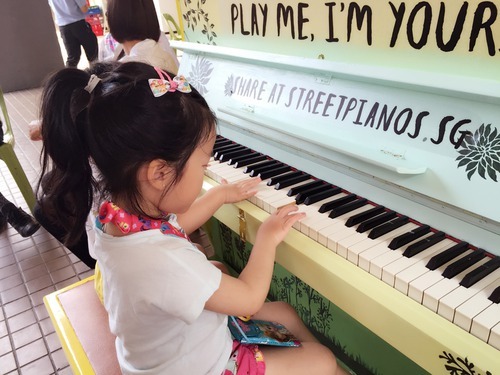 Auntie not afraid to try new things, yes! 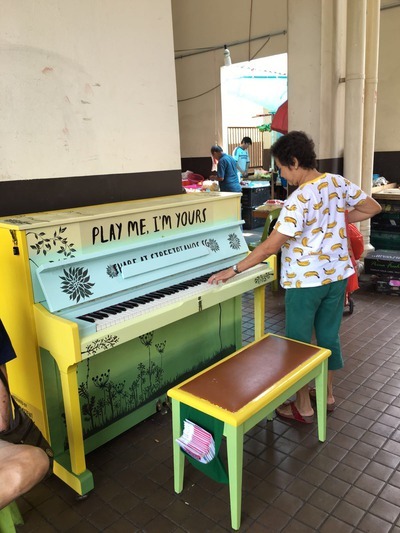 I love music and am glad to chance upon this pretty piano on a trip to the market! 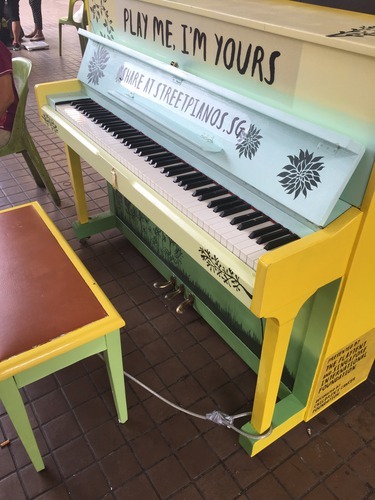 Amazing location for the piano - in a community where everyone knows everyone. 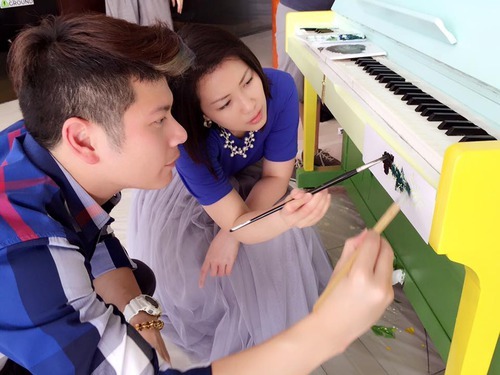 Sabrina Chua and Tim Oh, putting their artistic touches to Children's Cancer Foundation's piano at *SCAPE! 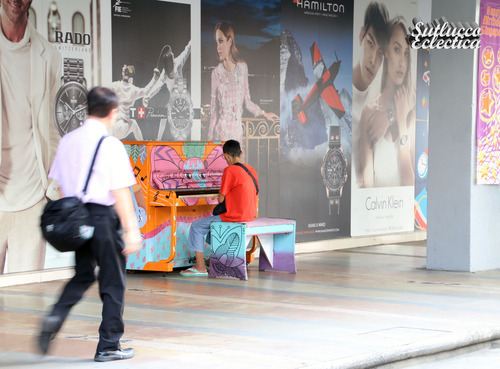 They were there for the shooting of the documentary earlier today, graciously sponsored by onedash22. Look out for it!